Workers’ compensation laws in Georgia require injured workers to provide their employers with prompt notice of work injuries. The statute says that if you sustain a workplace injury, you must report that injury to your employer within 30 days. This 30-day notice provision was included in Georgia’s workers’ compensation law so that employers can conduct an investigation of an injury claim while reliable evidence is still available. Regardless of the 30-day deadline, it’s best to report your injury immediately. You can make the report to your employer’s representative, your foreman, or your immediate supervisor. 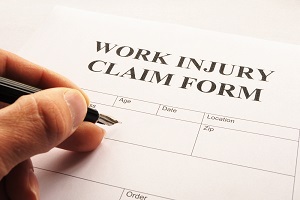 Many employers have their own company-specific claim forms that they use to begin the workers’ compensation process. However, there is no requirement in the law that notice be in writing. Your location when the incident occurred. What you were doing when the incident occurred. Immediate symptoms you noticed that indicated you were hurt. Specific body parts that are affected. Any coworkers, supervisors, or others who witnessed the incident. If you do complete a written accident form for your employer, it is a good idea to make a copy of the form for your own records. Failing to abide by the 30-day deadline for providing a notice of injury may result in your workers’ compensation being denied by your employer and its insurer. If this occurs, you may lose your right to medical treatment and income benefits. After you’ve provided notice of your accident to your employer, your claim will be investigated. The investigation will look at how and why your injuries occurred, in addition to seeing if new policies or procedures should be implemented to make your workplace safer. Your own actions in regards to the incident generally aren’t relevant to your ability to receive compensation for your work injury. However, your claim may properly be denied if the injury was due to your willful misconduct. Willful misconduct encompasses horseplay, intentional self-inflicted injury, being injured while attempting to injure someone else, and the willful failure or refusal to use a safety appliance or perform a duty required under the law. Your claim may also be denied if you were under the influence of drugs or alcohol while on the job, as revealed by a properly administered post-accident drug test. Injuries that were caused by inattentiveness or carelessness are fully covered under workers’ compensation law, but you may be subject to any applicable company disciplinary measures if you violated specific workplace safety rules. Seeking medical treatment for a workplace injury is a little different than being treated for other health conditions. All non-emergency medical care related to a workers’ compensation claim should be provided through a doctor on the employer’s panel of physicians. Your employer will allow you to choose a doctor from the panel of physicians to serve as your care provider. If necessary, he will refer to you an approved specialist for further evaluation. If your employer fails to maintain a posted panel of physicians, the injured worker has the right to choose their own doctor. Despite this right, many employers will at least initially refuse to authorize your choice, and will insist that you treat with "the company doctor." If that happens, you should consult a workers' compensation attorney right away for guidance. Failing to comply with the doctor’s treatment recommendations may jeopardize your right to benefits. If you disagree with your doctor regarding the severity of your injuries or the appropriate course of treatment, you are entitled to one free change to another doctor on the panel of physicians. An independent medical examination (IME) may also be an option to obtain a second opinion in some cases. Workers’ compensation law can be quite complex. Without experienced legal representation, it may be difficult for you to maximize your benefits on your claim. Retaining an attorney at an early stage in your case will allow you to fully focus on your recovery with confidence that you’ll receive the highest possible benefits. Rechtman & Spevak’s attorneys have extensive experience helping injured Georgia workers process their workers’ compensation claims in a timely fashion. Our firm has assisted employees of Home Depot, United Parcel Service, FedEx, Delta Airlines, Emory University/Emory Healthcare, Kroger, Publix, Northside Hospital, Piedmont Healthcare, Walmart, Lowes, Waffle House, Chick-fil-A, Randstad, and many other local businesses in accessing their benefits. Please call today to schedule a free, no-obligation initial case review. Can I Choose My Own Doctor to Treat a Work-Related Injury?